In preparation of leaving home for my second year at Surrey, I decided I wanted to do a little bit of travelling before term resumed. Having around 4 days to get a little bit of travelling done, I decided to head up to Scotland. 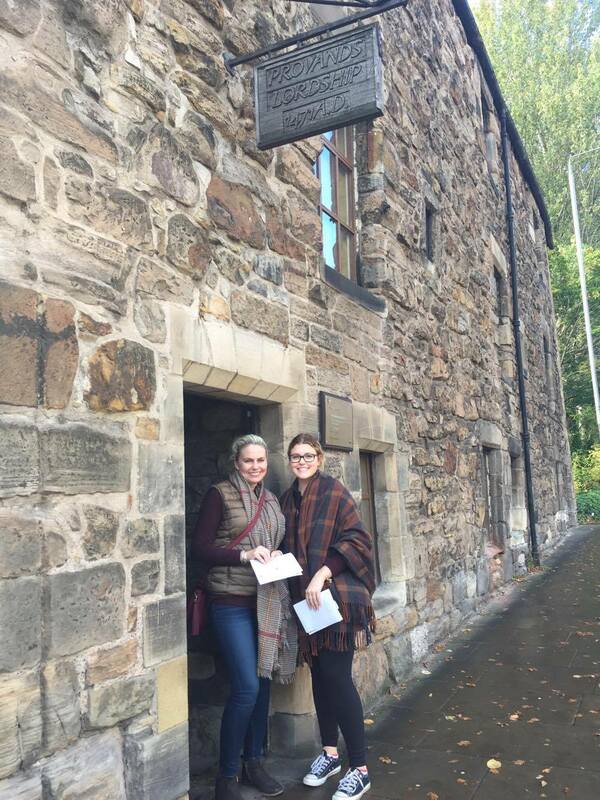 This was perfect as not only did my good friend Heather move to Glasgow to undertake a second Masters degree, but some of my family were also traveling through this area. So I arrived to Guildford from Canada and spent a day organizing my new place before packing a small bag and hoping on a train to Edinburgh. Although more expensive than I wanted to pay, the train was still reasonable – around 90 GBP for a round trip. Despite the fact that the train included a trip on the tube in London, everything went smoothly and the views up north were really beautiful. I had downloaded an audio-book so I simply sat and enjoyed the UK scenery while enjoying a good story. 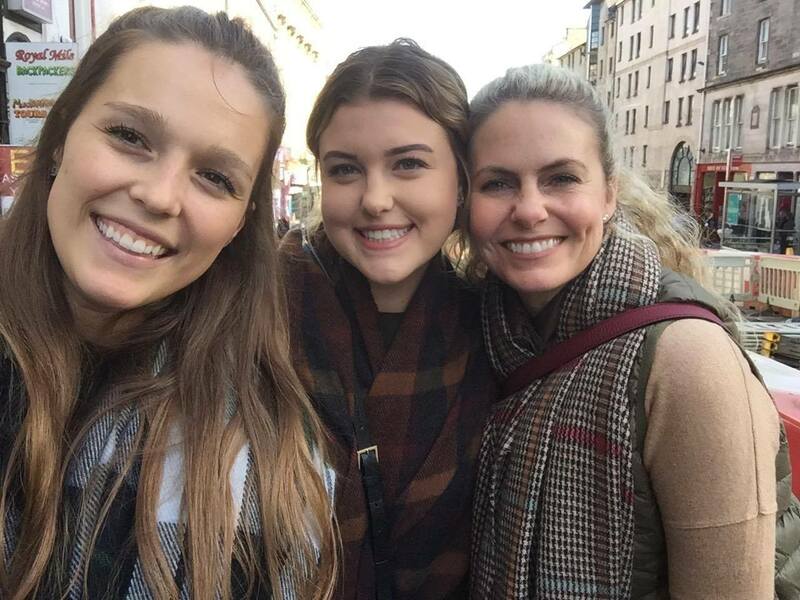 My first stop was Edinburgh where I was to meet up with my Godparents, Annette and Jacques, my cousin and now flatmate, Gabrielle, and her friend, Abigayle. As they were traveling in to Edinburgh a bit later in the day I decided to have a lunch in a small pub and do a hop-on hop-off bus tour. 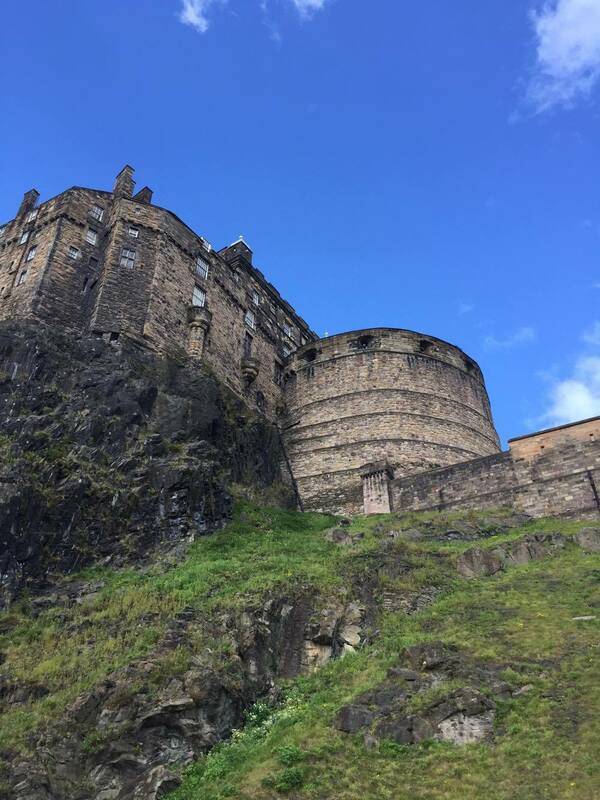 Although I would not recommend the lunch I had unfortunately, I would definitely encourage anyone visiting this city to do the bus tour as not only was it very reasonably priced for a student, only 14 GBP, but it also gave you great views of Edinburgh and also helped create a mental map. 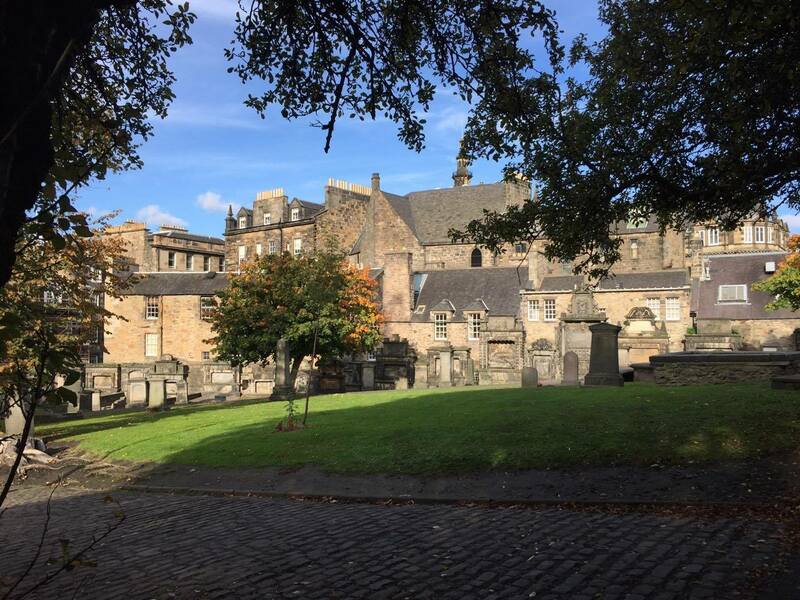 I also ended up exploring more of the streets of Edinburgh by doing a quick visit of the National Museum of Scotland, the Elephant House – the restaurant J.K. Rowling wrote some of the Harry Potter books, and Greyfriars Kirkyard – a graveyard that was quite beautiful and peaceful. When I finally met up with the family, we went to dinner in an Italian restaurant called Vittoria. Everything was delicious. It felt so good to reconnect with family so soon after leaving Canada. We chatted a lot and enjoyed each others company before heading back to our great apartment – an old church converted apartment building. The next day we decided to visit The Real Mary King’s Close which is an underground tour of the streets that lie underneath the city now but were once the busy streets of Edinburgh. The tour was really interesting and offered a unique look into the past. We then did quite a bit of souvenir shopping which I find is always fun. There were plenty of kilts, tartans and bagpipes to see. 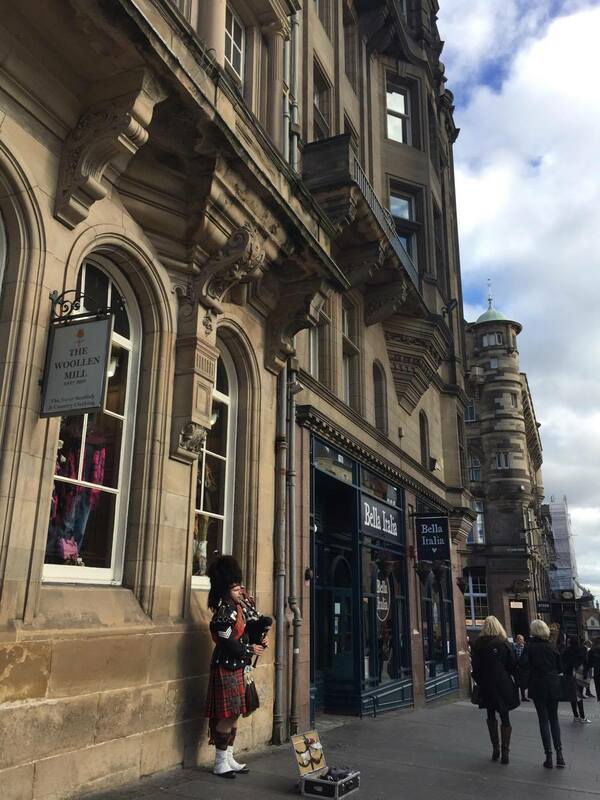 I thought it was really special to actually hear bagpipes playing as you walked down these old yet beautiful streets. Finally, we had some dinner at a pub where we also played games and chatted together. 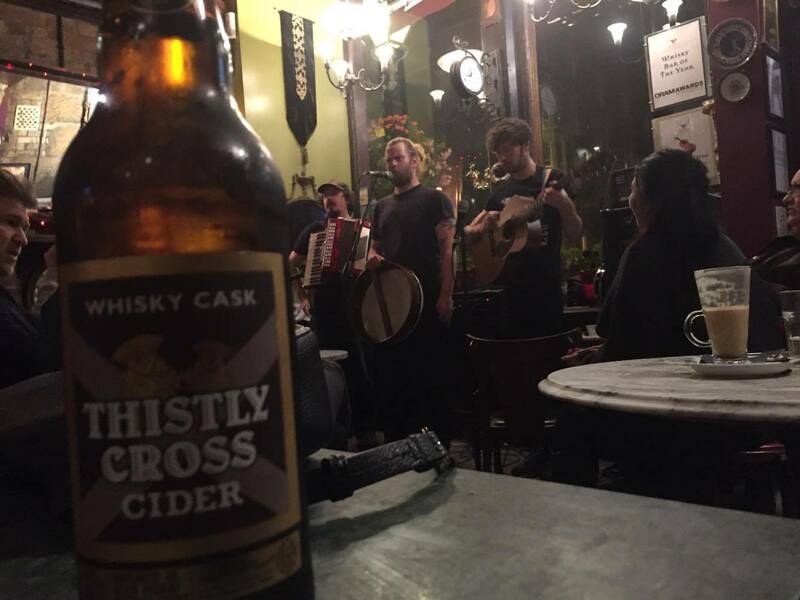 Later we visited different pub where we had some drinks and listening to Scottish folk music played by an awesome band of three. I think this was one of the highlights of my trip as the drinks were good, the company better and the atmosphere super fun and authentic! 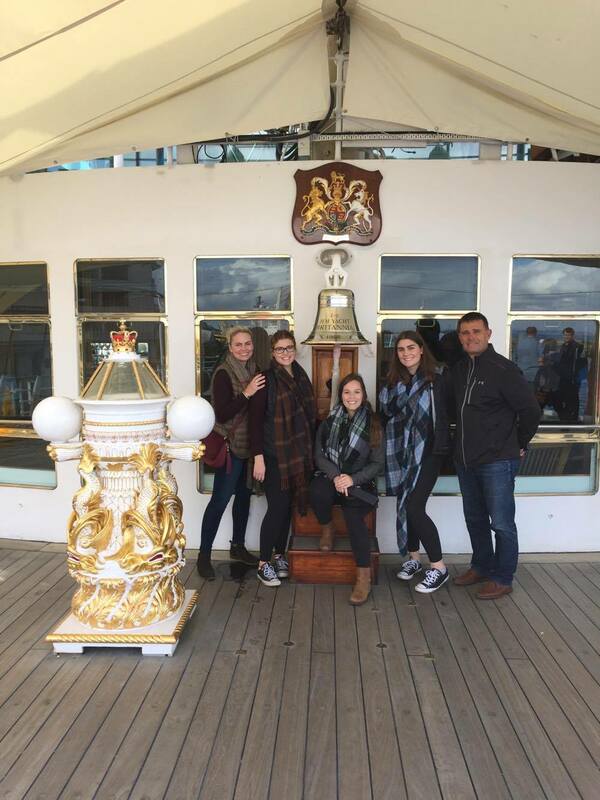 On our last day in Edinburgh we decided to tour The Royal Yacht Britannia which once was Her Majesty’s floating Royal residence. 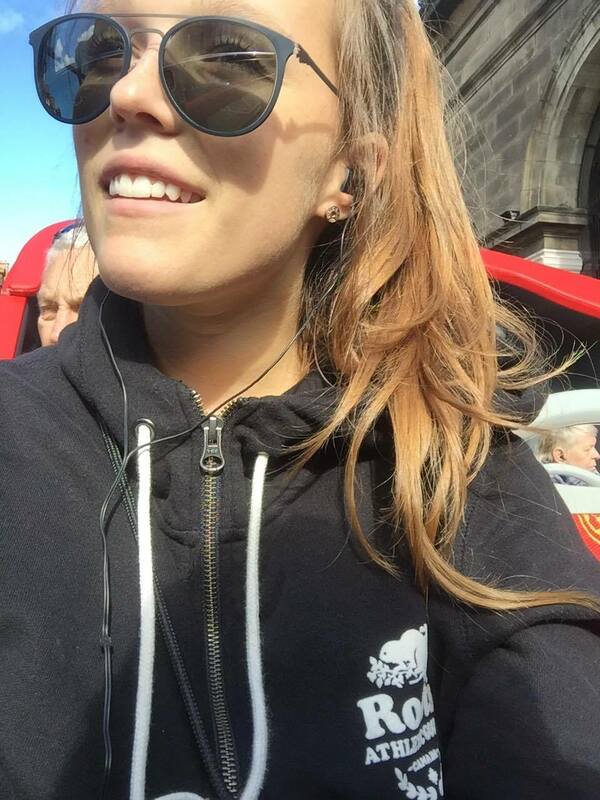 This was also a great experience on my trip to Scotland. 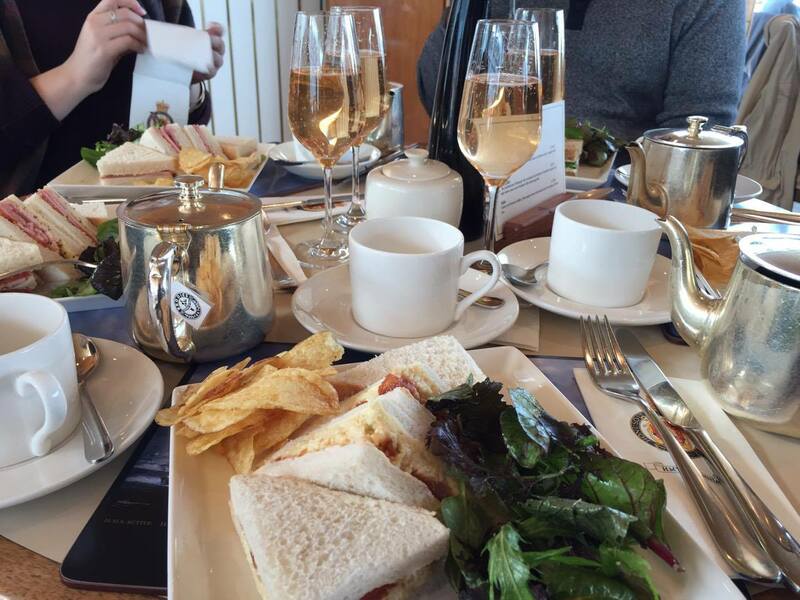 It was really interesting to get a glimpse into the life of the Royal family and we got to have cream tea on board the yacht which was delicious. What was most special was when a gentleman who was also having lunch sat down at the grand piano to play some beautiful lounge music. After the tour, we then headed to Glasgow. We did not have much time here but we did manage to visit Provand’s Lordship which is a medieval-per historic house museum. It is free to visit and only takes a few minutes so I thought it was quite a fun attraction to see. We also saw the Cathedral and had dinner. 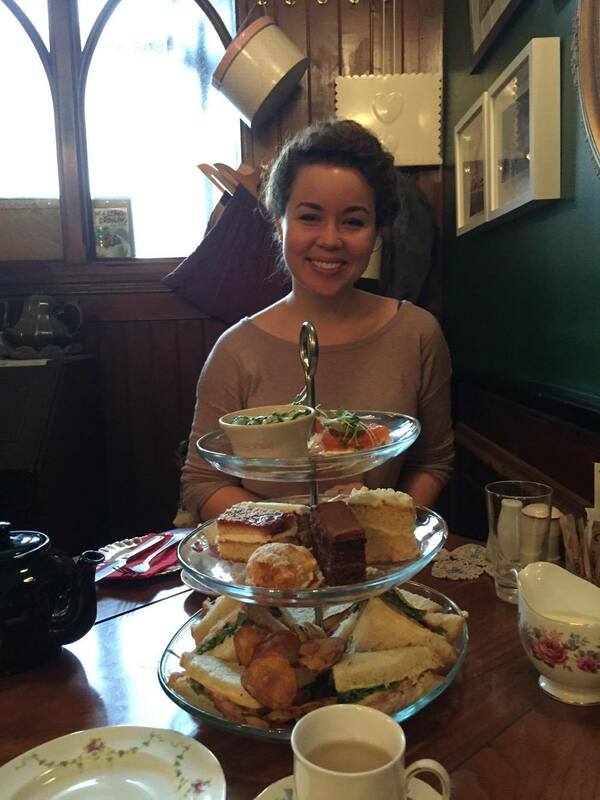 After saying goodbye to my family, I was finally able to meet up with my wonderful friend Heather for high tea. Although we did not have much time as my train back to Guildford was leaving in a couple of hours, it was so nice to be able to catch up with her. Guildford won’t be the same without her, but I know she’s going to accomplish wonderful things in Glasgow. 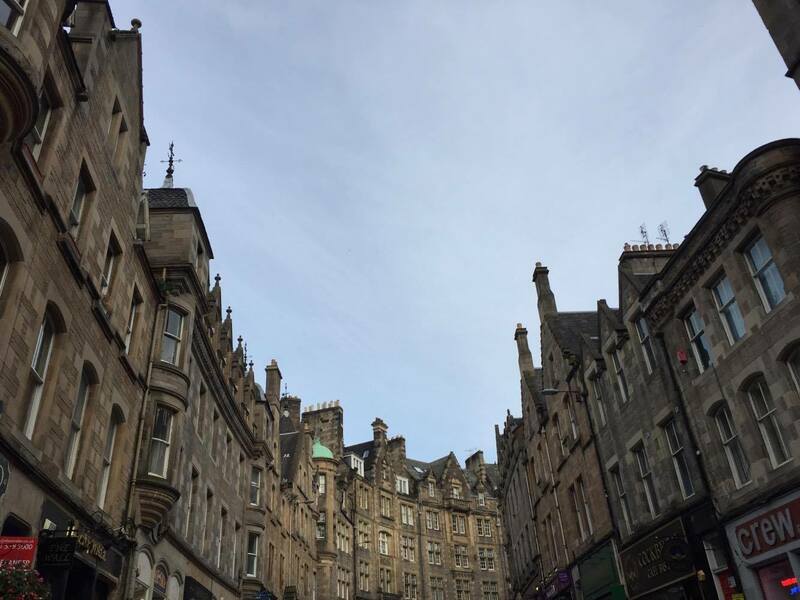 Edinburgh has now become one of my favorite UK cities. 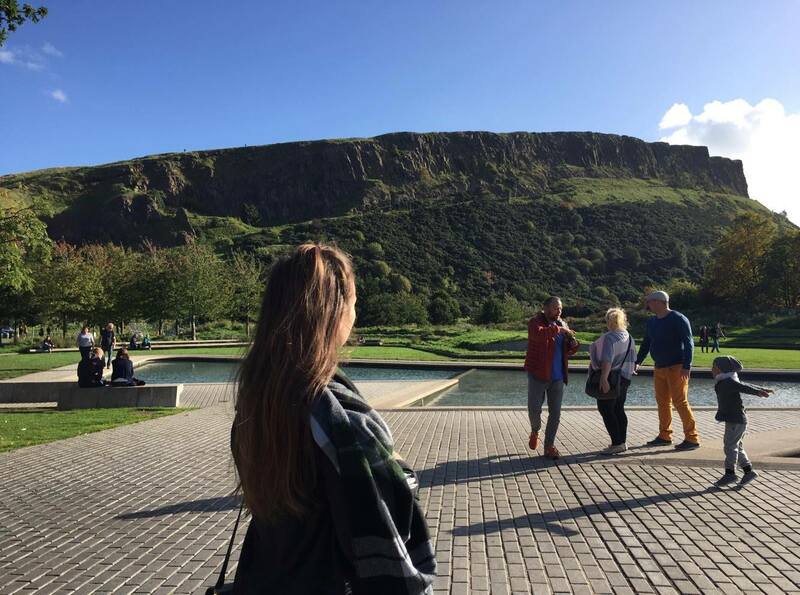 The history and architecture is really beautiful and I love that you can see Arthur’s seat – a big green hill – from the city. 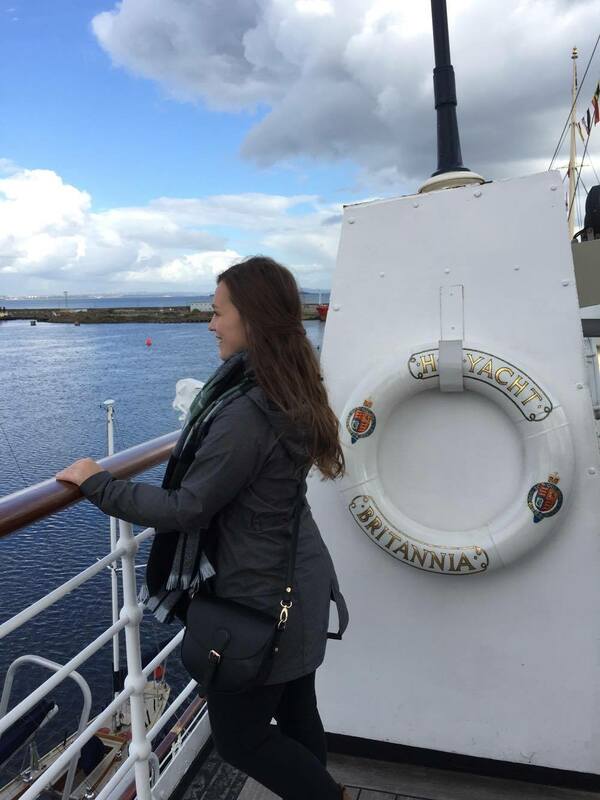 I cannot wait to explore more of Scotland soon – I especially want to visit the Highlands. Now back to the reality of lectures and readings.